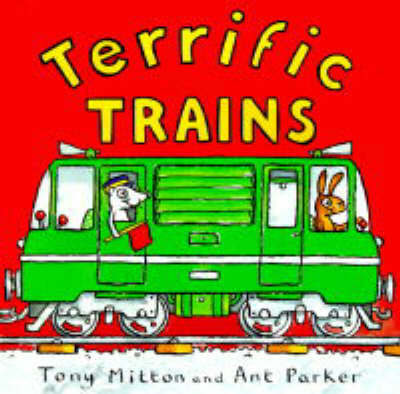 If like us you have train mad boys in the house, but are a bit fed up with the “Th” word, then here are a couple of nice kids books about trains that you might not have heard of before. This is one of those books that we’ve now had on the bookshelves for over 16 years (I’ve mentioned it before) … its a great story with a bit of an ecological theme. It also has great illustrations. 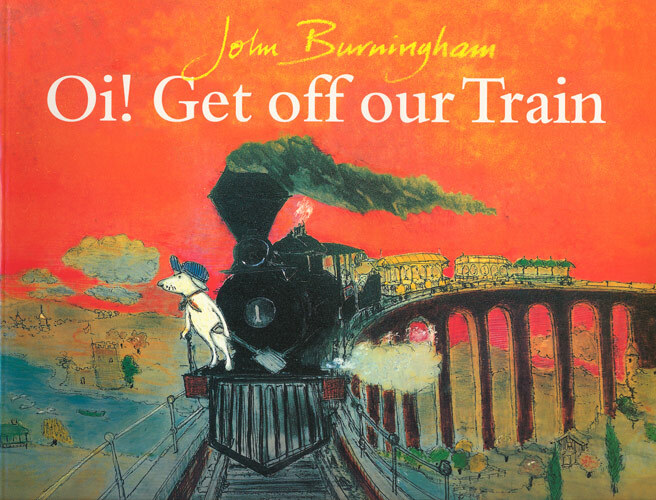 If you’ve seen any of John Burningham‘s other books, you’ll recognise the style instantly. One Christmas channel 4 played a half-hour animation based on the story. We have a DVD copied from a video recorded off the TV version, which isn’t perfect. I have tried to buy it, but all I could find was an American version, where they decided to rename it “The Animal Train” – goodness knows why – Oi! is such a great title. There is an even worse copy than mine on YouTube – http://www.youtube.com/watch?v=8GTQmm9AzFE – but it does at least give you a chance to listen to the song that was written for it (and works really well). In fact the sound track is really good. A great book with a serious message told in an interesting and sensitive way. Another regular in our household is Charlotte Voake (‘Ginger‘ is another book from 16 years ago that’s still on the bookshelves). 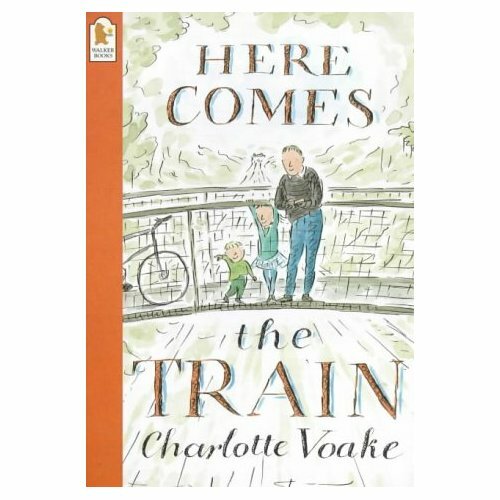 This book tells the story of a weekend adventure to a bridge over the railway to wait for and watch the trains as they whoosh underneath. This book actually prompted a visit to a local industrial estate in a bid to find a similar bridge. Of course, most rail bridges these days are pretty much closed in (at least the ones around me are anyway). 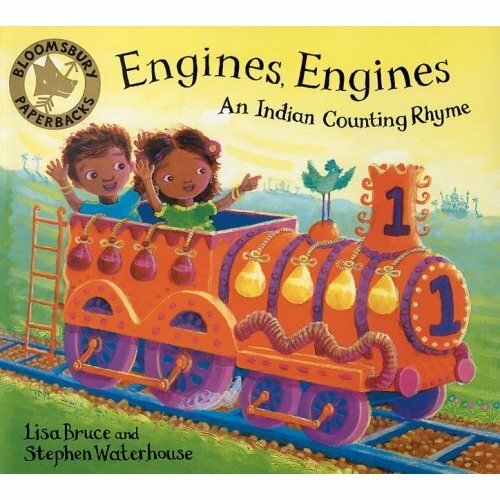 Apparently this is an Indian counting rhyme that Lisa Bruce has put together with Stephen Waterhouse’s very colourful illustrations to create this book. This hasn’t been in the house quite so long, but has been a firm favourite of the boys since we’ve had it. It manages to get quite a number of key landmarks from India into the rhyme as it counts from 1 to 10. This last one is just a simple rhyming book with large cartoon illustrations. There is a book for trains, one for rockets, diggers, and a range of other things too. So if you would like a change from Thomas, Percy and friends, take a look at some of these. and those that don’t are replaced with those that can (to misuse Zawinski’s Law)? And which site would you least expect to contain user-contributed humour? Ok, well there are probably many, but Amazon is the one that surprises me from time to time. So there. Do let me know if (or rather when) you find some more – you might find some among these.